Dispatches from Durban is a book of firsthand commentaries by long-term organizer and movement strategist Eric Mann written during the World Conference Against Racism in Durban, South Africa. 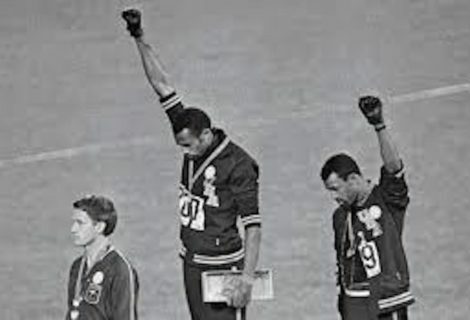 Mann, a front line organizer for CORE, SDS, the United Auto Workers and the LA Bus Riders Union, analyzes the U.S. walkout at WCAR, the strategic significance of the Reparations Movement and the Palestine struggle for self determination, the South African Lefts lessons for a reconstructed U.S. Left, the United Nations and NGOs as sites for international movement organizing, an organizers assessment of the current challenges of U.S. imperialism, and Post September 11 movement strategies to challenge the Bush & Democrats War Against the World. Dispatches from Durban is a book of firsthand commentaries by long-term organizer and movement strategist Eric Mann written during the World Conference Against Racism in Durban, South Africa. Mann, a front line organizer for CORE, SDS, the United Auto Workers and the LA Bus Riders Union, analyzes the U.S. walkout at WCAR, the strategic significance of the Reparations Movement and the Palestine struggle for self determination, the South African Lefts lessons for a reconstructed U.S. Left, the United Nations and NGOs as sites for international movement organizing, an organizers assessment of the current challenges of U.S. imperialism, and Post September 11 movement strategies to challenge the Bush & Democrats War Against the World. Mann has been a major voice on the U.S. Left and movement organizer for nearly four decades. He is the author of Comrade George: An Investigation into the Life, Political Thought, and Assassination of George Jackson; Taking on General Motors: A Case Study of the UAW Campaign to Keep GM Van Nuys Open; and L.A.s Lethal Air: New Strategies for Policy, Organizing and Action. Robin D.G. 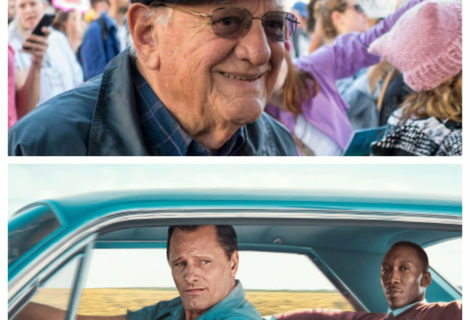 Kelley, author of Freedom Dreams: “Eric Mann, a major voice on the Left for nearly four decades, takes the U.S. Left on an international journey. He imagines a Left capable of blocking U.S. intervention in Third World countries, battling corporate globalization, and defending the rights of oppressed nationalities here in the ‘belly of the beast.’ He highlights the Reparations Movement’s revolutionary potential to expose the relationship between the development of capitalism, racism, colonialism and slavery, and to strike directly at the World Bank, the IMF, the G8 nations, and the U.S. itself. 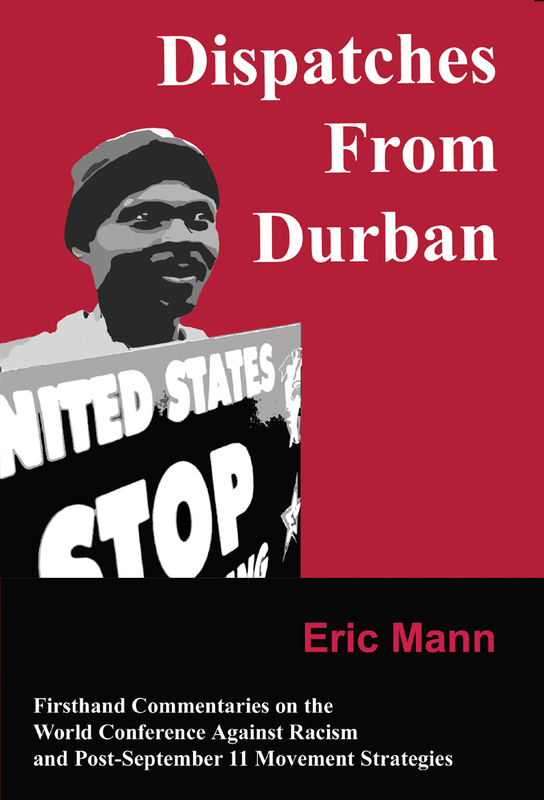 There is a refreshing, at times startling, realpolitik optimism running throughout this book.” Joseph Nevins, Z Magazine review: "What do we do about the United States?” This is the big question that animates Eric Mann’s provocative, insightful, persuasive and highly stimulating book, Dispatches from Durban. Mann sees the United States as the linchpin of an unjust world order, one based on racism and imperialism—“the political, economic, and military system of monopoly capitalism that subjugates whole nations and peoples.” To challenge this institutionalized injustice requires an international movement that enjoys a far greater level of consciousness and organization than it now does. Durban is a strategic manifesto for building an “antiracist, anti-imperialist united front, a positive vision of a society, organizing to stop the abuses of the existing [U.S.-dominated, global] system,” while suggesting myriad tactical interventions aimed at progressing toward the larger strategic goals. Howard Zinn: “From the time I knew Eric Mann as an S.D.S. student activist in Boston, and then working together on a weekly op-ed column for the Boston Globe, he has been untiring in his commitment to racial equality and economic justice. In Dispatches, Eric draws upon his long experience as an assembly line worker, radical community organizer, and delegate to the historic World Conference Against Racism to give us a bold set of strategies for moving towards a new America, a different world.” Jim Lafferty, host of National Lawyers Guild show, KPFK Los Angeles: “Eric Mann is one of this country’s finest thinkers and writers on the political Left. Dispatches changed my own depth of understanding and commitment to the notion that the fight against racism must be central to any movement.” Eric Mann is the author of Comrade George: An Investigation into the Life, Political Thought, and Assassination of George Jackson; Taking on General Motors: A Case Study of the UAW Campaign to Keep GM Van Nuys Open; and L.A.’s Lethal Air: New Strategies for Policy, Organizing and Action. 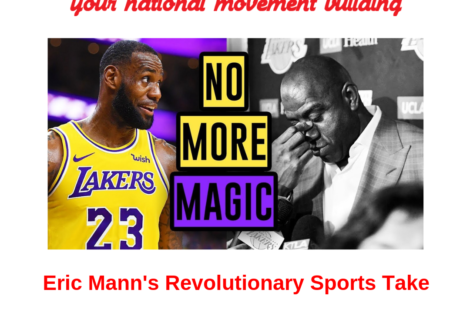 Mann has been a civil rights, anti-Vietnam war, labor, and environmental organizer for 35 years with the Congress of Racial Equality, the Students for a Democratic Society, the United Auto Workers, and the Bus Riders Union.